The first part of this analysis argued against simple comparisons of German unification and the hypothetical Korean case by showing major differences in the external forces and domestic attitudes that would influence unification of the Koreas. This next discussion will consider differences that impact unification costs—an apparent area of major interest to South Korea in particular. It also will examine factors affecting the relative power of the two sides in each unification effort, as they are markedly different from the German case. It is important to note that external and internal conditions for Korean unification are subject to continuous change and adjustment, which makes comparisons and predictions even more complicated. Structure of national economies: The similar economic structures of East and West Germany limited their economic gains from unification. Excess capacities in the newly united country prompted the closure of production facilities, mainly in the East, creating massive unemployment. North and South Korea, however, have economic structures that are complementary in many ways; among the best known examples are South Korean capabilities to extract and process mineral resources of the North. This characteristic will influence the flow of post-unification investment and provide opportunities for immediate economic growth in the North that were absent in East Germany, ultimately reducing unification costs. However, new problems will emerge, such as structural change in the South. It is not unlikely that skyrocketing unemployment and the resulting need for social welfare spending will affect both North and South as well, whereas in the German case, such problems mainly afflicted the East only. Standard of living: The economic gap between West and East Germany was undeniable, though mainly in the form of luxury goods: West Germans had better cars, better clothes, better consumer electronics, and better holiday travel destinations. In the case of Korea, the gap is more aligned with the lower (physiological and safety) levels of Maslow’s Hierarchy of Needs. Despite improvements in the recent years, many North Koreans are still primarily interested in a stable supply of food and other basic needs. The economic tasks for the unified Korean government will thus be very different in nature, at least in its crucial first years. The lower standard that needs to be attained in the North in that time will result in lower unification costs. International economic environment: By 1989, neoliberalism was the dominant economic policy in the West. Deregulation, privatization and globalization were at their height. In contrast, as of 2016, economic nationalism and economic regionalism are increasingly influential forces. Should this trend persist, it will be much easier for Korea to apply protectionist measures to reduce the costs of unification. Foreign trade structure: A major reason for East Germany’s dramatic post-unification recession was the near collapse of its foreign trade. Due to a number of simultaneous and often sudden events—the conversion of all prices into hard currency, the revaluation of major inputs such as labor and energy, and economic restructuring and crisis in the other socialist countries—the major markets for East German products as well as the supply chains collapsed almost overnight. North Korea also went through all of this in the early 1990s, with the famine as a result. However, this adjustment process is over and will not be repeated. Amid self-isolation and sanctions, what little is left of the North’s foreign trade is “healthy” and will survive unification without major disruptions. A post-unification recession in the North will thus be much weaker than it was in East Germany, resulting in a positive impact on unification costs. Official unification policy: In Germany, only the West officially supported unification. East Germany in 1972 even stopped using the lyrics of its national anthem (!) because the original version’s reference to a unified Germany was no longer politically desirable. In Korea, actual attitudes towards unification notwithstanding, unification is officially the top political objective of both sides according to the respective constitutions. Therefore, if Korean unification proceeds, there will be a competition of concepts (such as “one country, one system” versus “one country, two systems”) that did not take place in Germany. South Korea will thus find it harder to impose its position on the North. Unification blueprints: In Germany, only the West had some rough ideas about how unification could be administered in a technical sense. East Germany had no concept of its own, and there had been no serious public or expert discussion on the issue until 1990. This lack of planning by East Germany enabled West Germany to apply its own ideas almost without any resistance. In Korea, both sides have for decades been promoting their competing unification blueprints. A number of agreements have been concluded, including the often-cited joint declarations of June 15, 2000, and October 4, 2007. Any attempt by South Korea to impose its own system on North Korea will have to deal with Kim Il Sung’s alternate proposal of the Democratic Confederal Republic of Koryo. Status of major ally: East Germany relied on the Soviet Union, which was about to collapse economically and politically by the time of German unification. North Korea is much more independent, and its ally China will soon challenge the global leadership of the United States. South Korea will find it much harder than West Germany to dictate the conditions of surrender to the other side. Type of socialism: It is as easy as it is wrong to assume that “socialism equals socialism.” In East Germany, socialism was of the Marxist-Leninist type. The leadership was collective, and the ideology and resulting rules were very specific and bureaucratically formalized. In North Korea, socialism is of the nationalist juche type. The country is led by a single leader who rules arbitrarily and through on-the-spot guidance. There is no handbook; socialism in North Korea is much more flexible regarding new elements and policies. It is also much more “Koreanized” and will thus be more resilient after unification. Potential for violence: East Germans lived in a dictatorship that was supported by a vast secret police system. Their civil rights were severely restricted. However, the degree of such limitations and the level of force the state was willing to use both paled in comparison to the current conditions in North Korea. It was a big surprise to many that no major acts of revenge surfaced during German unification, but the situation is unlikely to remain as calm in the Korean case. Nuclear weapons: East Germany’s military was suspiciously controlled by the Soviet Union, which deliberately kept the number of East German heavy and offensive weapons at an absolute minimum. Not even submarines or frigates were allowed. Nuclear arms in the hands of the East Germans were not conceivable for the Soviets. North Korea faces no such restrictions, and it already claims to be a nuclear power. 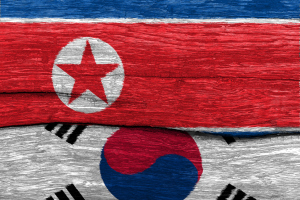 The risk of a major military conflict in the event of political destabilization is huge, and if unification proceeds, policymakers will need to consider how to deal with the North’s nuclear stockpile. Duration of division: At the time of German unification in 1990, Germany had been divided into two separate states for 41 years, or less than two generations. As of 2016, the division of Korea continues after 68 years, or almost three generations—and counting. The impact of this longer period of division is reflected in the differences in attitudes towards unification depending on age as evidenced by regular surveys: in South Korea, the young generation’s interest in unification is dwindling. In addition, formal and informal institutions in both Koreas including the use of language differ much more than they did in Germany. Harmonization will take much longer and will be harder to achieve. Status of the “weaker” part: While East Germany was the most developed country of the socialist bloc and North Korea’s development level is rather low, the Koreas may benefit from their more substantial economic difference. The West German government thought it would take over an economically successful country, and it paid a high economic price for this miscalculation. By contrast, South Korea expects to take over a very poor and desolate country, and it might be positively surprised. Furthermore, in the German case, two strong countries from two different economic blocs unified. In the Korean case, a strong and a weak country existing within the same global economic system will merge; this is a completely different task. Democratic and republican tradition: Germany took part in larger European developments that had centuries to take root. They only needed to be reactivated in East Germany in 1990. Korea was a feudal kingdom until 1910 and the colony of an increasingly authoritarian and militaristic Japan until 1945. The import of Western democracy took decades in the South and is in some ways still ongoing. In North Korea, where this process hasn’t even started, everything will have to be built from scratch. Building democratic institutions will take much longer and face huge difficulties in the Korean case. Population ratio: In 1990, 16 million East Germans joined 64 million West Germans, at a ratio of 1:4. If Korean unification took place in 2016, 25 million North Koreans would join 55 million South Koreans at a ratio of roughly 1:2. We should further consider that demographic projections point to a growing population in the North and a shrinking population in the South, which will bring this ratio even further down. The consequences are manifold. Economically, fewer South Korean taxpayers would have to finance more North Korean recipients. Politically, an opposition party based in the North would have much greater weight in a joint parliament than any East German equivalent. Organized opposition: In East Germany, hundreds of mostly Protestant Christian congregations across the country served as a nucleus for the assembly of like-minded political opposition forces. It is no coincidence that current leaders of East German origin have roots in these circles: Chancellor Merkel is the daughter of a pastor and President Gauck is a pastor himself. The high level of organization in Christian churches facilitated the quick emergence of political opposition and the foundation of political parties such as the Social Democratic Party in 1989. In North Korea, nothing remotely similar exists. This will lead to a very different institutionalization of post-unification political movements. Computers and the internet: Apart from a minority, both East and West Germans were computer illiterates at the time of unification. The growing dominance of information and communications technology in professional and daily life was an experience that Germans made together. In Korea, Southerners are far superior in their experience with computers, smartphones, the internet, social media and so forth. The resulting disadvantage for most North Koreans will severely impact their chances on the job market and participation in society. Tablet computers, smartphones and an intranet exist in North Korea, but their use differs and their penetration rate is much lower. Other major differences are slowly disappearing or becoming irrelevant. This includes the “overseas Koreans.” The zainichi and in particular the chōsen sōren (chongryon) in Japan were long regarded as a trump card by North Korea to tilt the majority situation in their favor, which is why North Korean unification proposals usually included the overseas Koreans as a separate group. This factor now disappears or might even become supportive of South Korea. Most importantly, it seems that after two decades of marketization and monetization, North Koreans are not only as accustomed to the use of money as East Germans were, regarding survival under market conditions, North Koreans are even more experienced. All of this is not to say that Koreans can learn nothing from Germany. The German example shows us that unifying two countries that are at different levels of economic development will be costly; there will be social aspects to consider; the process will affect the interests and draw the attention of outside forces; and legal questions concerning property rights and crimes against humanity should better be resolved beforehand. However, none of these lessons are exclusive to Germany. While they concern complex matters of governance, they could have been derived from any case where two previously opposing societies were merged quickly and under the clear dominance of one side, such as the unification of the United States after the Civil War. Korean unification is a hard policy issue, not just an academic question, and a realistic assessment of the situation is imperative. Using the German case as an easy blueprint is more than naïve, it is grossly negligent. It provides the treacherous illusion of having a model, a trodden path that only needs to be followed. Perhaps the only thing we can really learn from the German example is that a seemingly stable situation can quickly become very dynamic. Leaders who are better prepared will find it easier to shape the process. It does not hurt to scan the German experience for crucial issues, but planners must not assume that Korea will only face problems to which German solutions can be applied—this belief would be dangerously misleading. This support became rather halfhearted in the late 1980s. More and more voices even among conservatives demanded accepting reality, changing the constitution and officially recognizing the GDR as a separate state. See http://www.welt.de/politik/deutschland/article132888340/Die-Irrtuemer-der-prominenten-DDR-Versteher.html. The problematic passage in German: “…lass uns Dir zum Guten dienen, Deutschland einig Vaterland” (Let us serve you for the good, Germany, united fatherland). For the June 15 declaration, see: http://www.usip.org/sites/default/files/file/resources/collections/peace_agreements/n_skorea06152000.pdf. For the October 4 Declaration see: http://www.usip.org/sites/default/files/file/resources/collections/peace_agreements/n_skorea10042007.pdf.